"Dream It, Do It' 9s on tap for March 9. 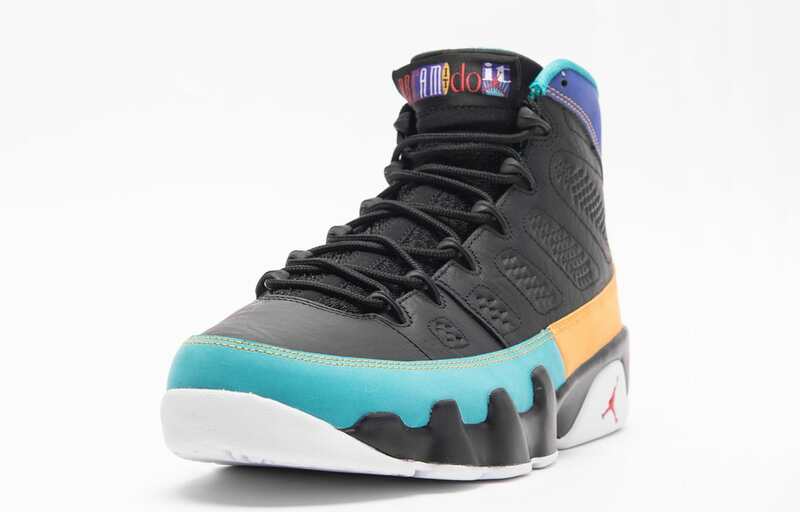 The Air Jordan 9 will reportedly return to retailers next month sporting an all-new, multi-color "Dream It, Do It" colorway inspired by Nike's "Dream It, Do It" tagline from the '90s. 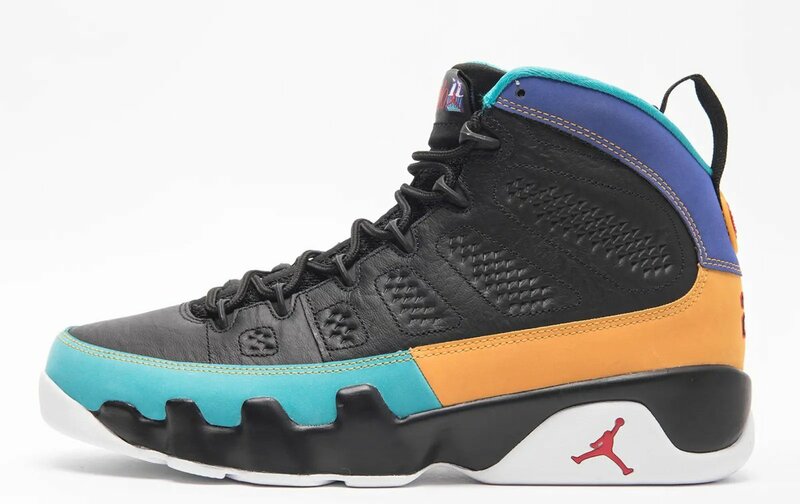 According to sneaker source @Zsneakerheadz, the special edition 9s will reportedly be available on March 9 for the standard retail price of $190. 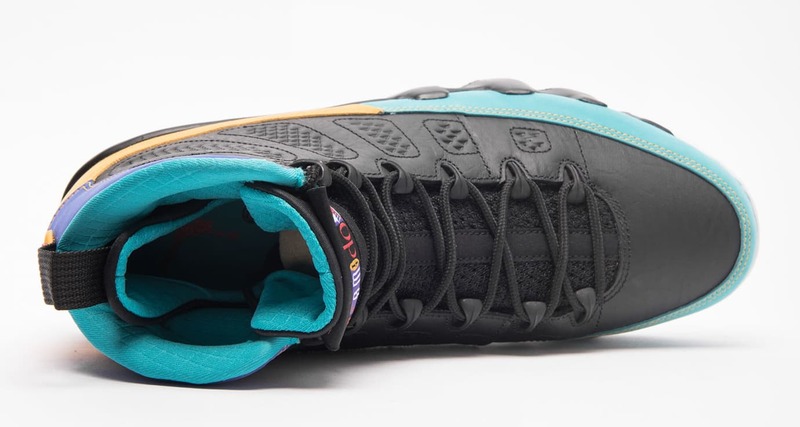 As seen in leaked images that have recently surfaced, the black leather 9s are highlighted by a teal, purple and yellow/orange trim that sits along the mudguard and wraps around the entire sneaker from toe to heel. Additional details include a white outsole with a red Jumpman, a black and red '23' on the heel, and the original "Dream It, Do It" logo on the tongue. 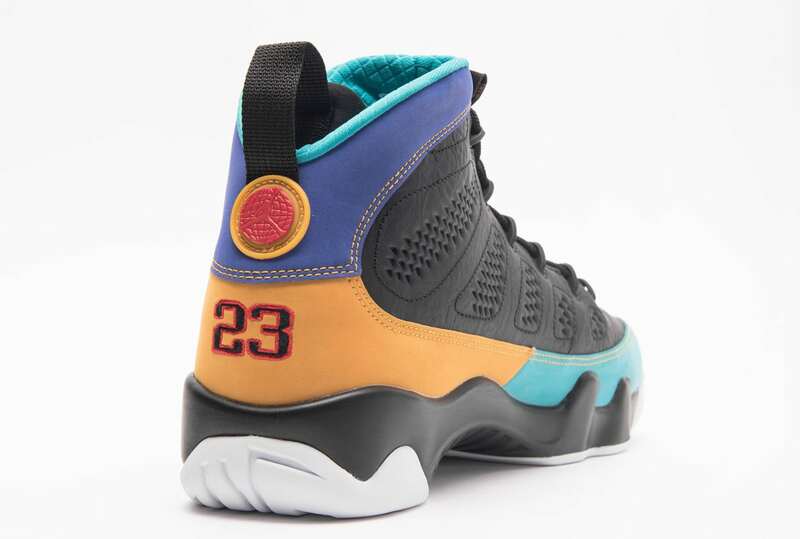 Check out some additional images of the "Dream It, Do It" Air Jordan 9 below while we await official release details.